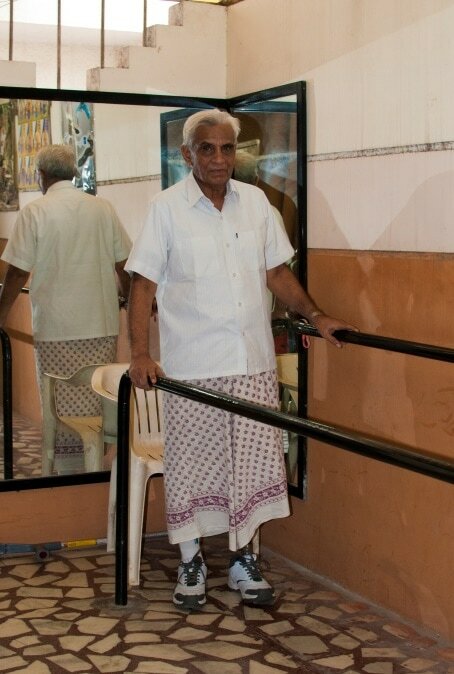 One morning in 2013, Manubhai was on his way to visit his grandchildren and take them for their weekly walk. He began crossing the final street to reach their house when a car came barreling around the corner and ran him down before he had time to get out of the way. He was rushed to the hospital where doctors worked for hours to save his leg. Unfortunately, the damage was too severe and the only way to save Manubhai's life was to remove his injured leg. Six months after the accident, he found his way to a LIMBS partner clinic in Vadoodra, India where he was fitted with the LIMBS' leg system. Because of the leg's lightweight, durable design, he is now able to walk again. He is looking forward to many more walks with his grandchildren on his new leg.